Gnanadesikan, A., R. D. Slater, P. S. Swathi, and G. K. Vallis, 2005: The energetics of ocean heat transport. Journal of Climate, 18, 2604-2616. Primeau, F., 2005, Characterizing transport between the surface mixed layer and the ocean interior with a forward and adjoint global ocean transport model, Journal of Physical Oceanography,35, 545-564. Rahmstorf, S., 2006, Thermohaline Ocean Circulation. In: Encyclopedia of Quaternary Sciences, Edited by S. A. Elias. Elsevier, Amsterdam. 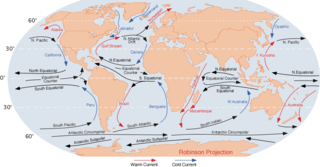 Rahmstorf, S., 2003, The concept of the thermohaline circulation. Nature, 421, 699.